International Plein Air Painters is a blanket organization created for the sole purpose of advancing the execution and enjoyment of plein air painting without the restrictions and limitations of borders or regions. 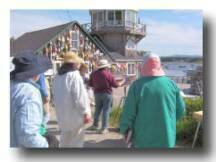 Membership is restricted to plein air painters, those serious to learn about plein air painting and those who wish to be benefactors advancing the plein air movement. International Plein Air Painters artist members worldwide.